Seeking the perfect gift for the woman who has everything? Look no further than the latest collection from keri golf. 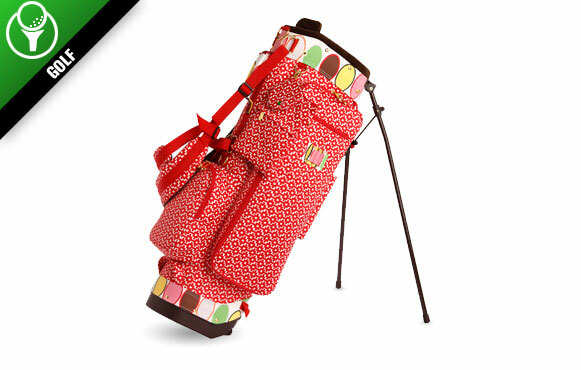 The golf bags offer specialized pockets for balls, cell phones and wallets, insulated storage space for snacks and drinks, external tee holders, gold-plated hardware and personalized monogramming alongside detachable zip bags and mirrors in coordinated fabric frames. But most importantly, the sleek external designs mean she'll be the most stylish player in her foursome. And if she's not a golfer? No problem, as keri has introduced a bucket tote and shuttle duffel that are just as appropriate for a night on the town as a day at the course.